These are the last hours we will spend now in Dodoma. 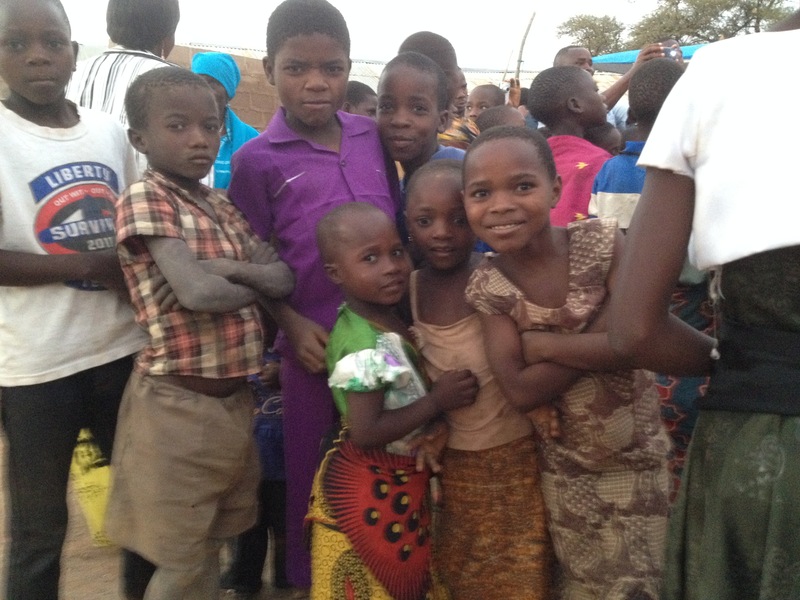 We are without power or water and I am writing this on my phone – one last African reflection. I think all of us are sad. The kids have reveled, even today, in having such expanses of time to play with the friends whom they have made so easily here. 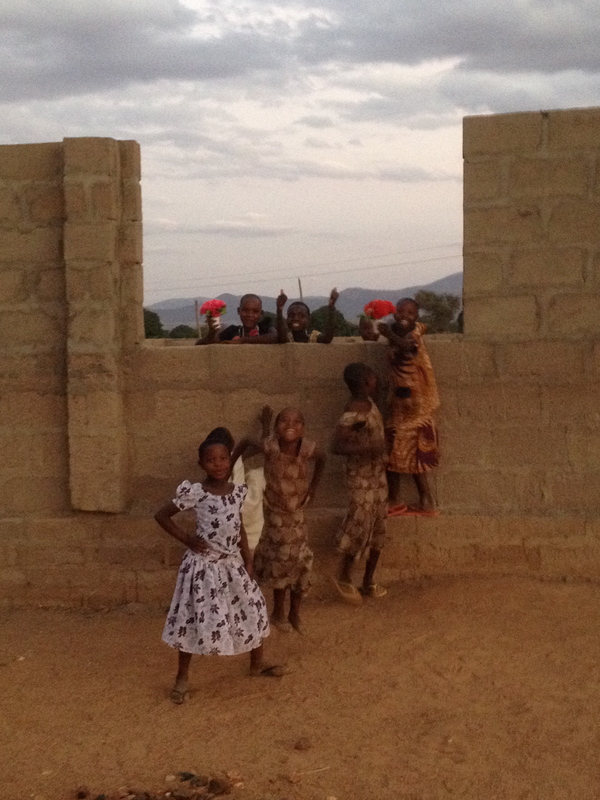 From the local Tanzanian kids living in the houses around ours, to missionary kids from England, Australia and the U.S., their’s has been a summer of discovery in Dodoma’s very own global village. I am so very thankful for the richness of their experience. For me, I am just struck by how much time people have given us. It is so fundamentally a relational culture here. On our recent visit to Kongwa, the principal of the theological college whom we just met casually one evening spent the better part of the next day with us. Another day, I was with the bishop and his family for 13 hours straight. And we have found that it is entirely normal here to stay with people for half or more of the day without a concern about time. We were told this week that in Tanzania the day does not pass via the hours on a clock but by events. If an event takes a whole day then whatever else may have been planned for that day can always be done tomorrow. ‘There is always tomorrow’ – they sound like the words of someone who has gotten used to being on sabbatical. Yet, to have time for one another; that is one worth bringing home. Thank you God, for this indescribable gift. Asante Sana, Tanzania. This past weekend we had the luxurious opportunity to spend some time at St. Philip’s Theological College in Kongwa. 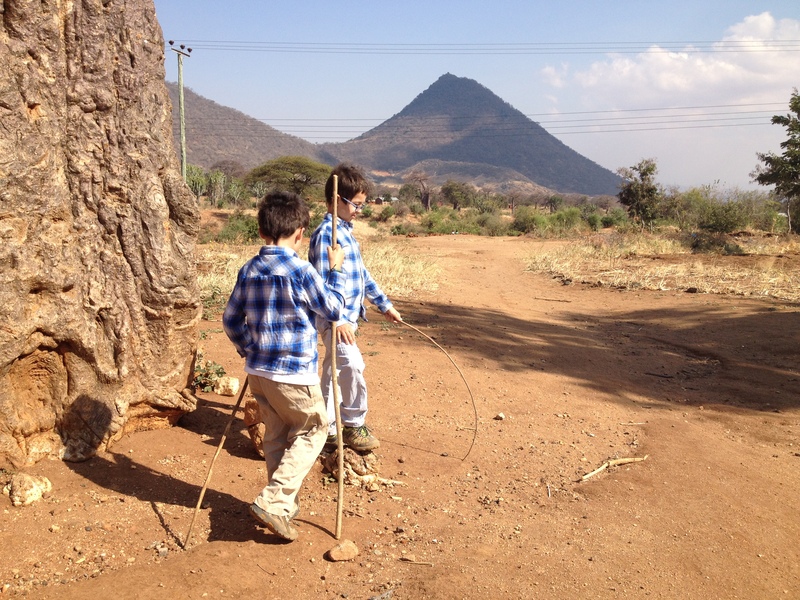 Set in hills that lie about 90km from Dodoma, it was our first getaway and it was beautiful. There was a hot shower, corn flakes for breakfast, and a peaceful natural playground of mud, walking sticks cut from the bushes, and rocks that glittered like ‘silver and gold’ to our bright-eyed children. The college there is intended to serve all Anglicans in Tanzania seeking to train for ordination, yet because several dioceses have their own training centers St. Philip’s is struggling to survive. The guesthouse where we stayed remains a good revenue stream, however, perched as it is overlooking a beautiful African vista of hills and plains with the unmistakable Baobab tree dotting the landscape. It was what our second child calls a ‘peaceful place’, a place where it is easy, I found, to be reminded of what it is I am hungry for. 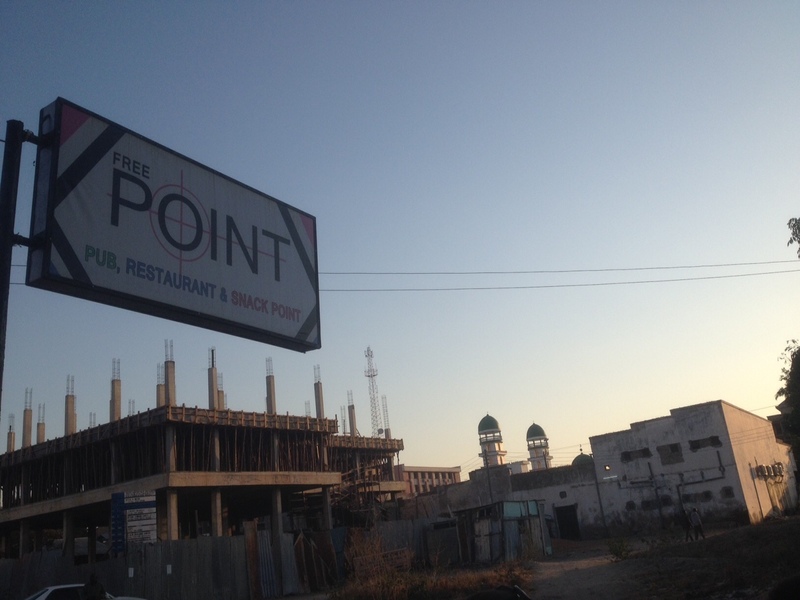 Reminders of hunger are all around us in Dodoma. It is not that people look malnourished, because they don’t. There is none of the vast sprawl of poverty that I remember encountering in India when I lived there in my twenties. It is another hunger that we meet here, most prominently expressed recently by our Muslim brothers and sisters. Over these past few weeks, Muslims in Dodoma – as they have around the world – have been fasting for the holy month of Ramadan. The day-long observance of devotion and abstinence from food and water is punctuated by the morning and evening call to prayer. It is loud, but it is not alone. For this is a land of prayer. Every night from our university residence we can hear choirs practising with vast speaker systems that ensure the singing and distinctive Tanzanian beat can be heard a good distance away. And situated as we are between other university housing and the local village we can often hear several different choirs at once, surrounded by a sea of song drifting heavenward, an ever-flowing reminder of people’s hunger for God. Episcopalians back at home in the U.S. don’t find that talk about hungering for God comes all that easily. It is not language that we are accustomed to. Yet to hunger and to yearn for, to desire the divine is a tradition of the mystics and of the Bible, and here it is simply how people seem to go about their daily lives. To think of marketing the church or the mosque would be an odd and alien concept in this setting. People do not need to be persuaded to ponder the things of God, to seek grace and beauty in their lives in the company of others, they do it as naturally as they eat and they seem to wish to satisfy a hunger for such things continually. It was on our way back from a church gathering in Kongwa that one of our boys discovered to his great delight a piece of honeycomb in the ditch. He held it close to him, as the photo shows, inspecting its tiny crevices for any speck of honey that his tongue may chance upon. He did not find any, but I am pretty sure it will not stop him looking. Imagine such a hunger. Imagine looking over each hole in the honeycomb of your life. What is it that tastes sweet? What is it that has run dry? What has become broken, cut-off from the rest? These are the questions that come easily here. I hope to remember them. As of now, he has completed about 70-something parish visits, Dickson Chilongani, that is, the Anglican Bishop of the Diocese of Central Tanganyika. He has a total of around 260 parishes, each consisting of several congregations, sometimes as many as 7 or 8 different churches. In all he is the singular bishop to well over 1000 congregations, each 100 or 200 or more strong. It’s a lot, and Bishop Dickson is in the midst of doing something that would put any American bishop’s visitation schedule in the shade. He is visiting each one of those 260 parishes during his first year as diocesan bishop out of a desire to make his first connection with the people of the diocese in their part of the world rather than his. It is an endeavor that expresses Ujamaa, the Swahili word for ‘familyhood’ that like the southern African concept, Ubuntu, asserts that a person becomes a person through the people or community. 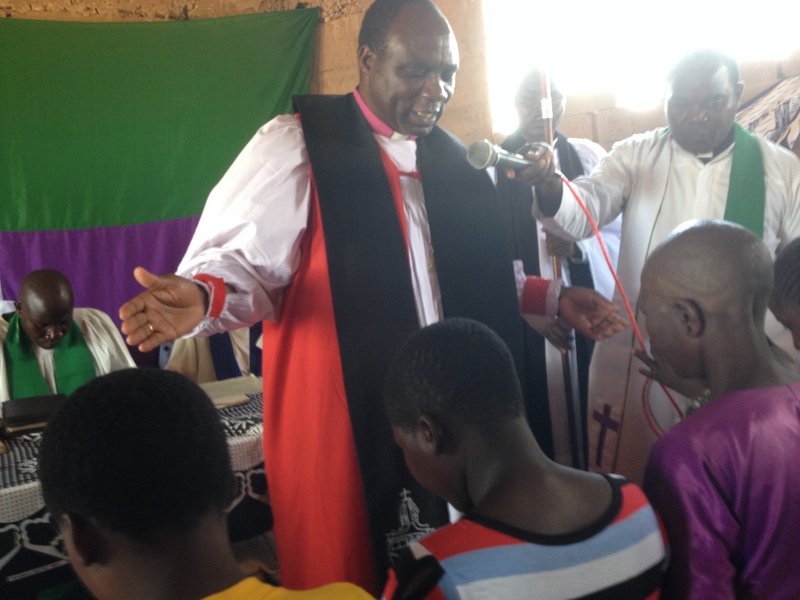 And so, for Bishop Dickson, he is ‘becoming’ his episcopacy through the people of his community of Central Tanganyika. Gift-giving, it would seem a lot like the presentation of songs, is an integral way that a village honors guests. Each representative group comes forward to make their offering. On the day I was there, the gifts ranged from shúkà, traditional garment sheets worn wrapped around the body, to a goat, and for me and a couple of others there was a chicken. This is the first chicken that I have been honored with (although when I lived in India I was once offered a share in a cow) and I think as far as chickens go, she was a keeper, at least until dinner the next day when we shared her with the neighbors kids in the form of a curry. She would not have made it past customs anyway. The day with Bishop Dickson and his lovely family was over 13 hours in all, and by the end I was delightfully tired. 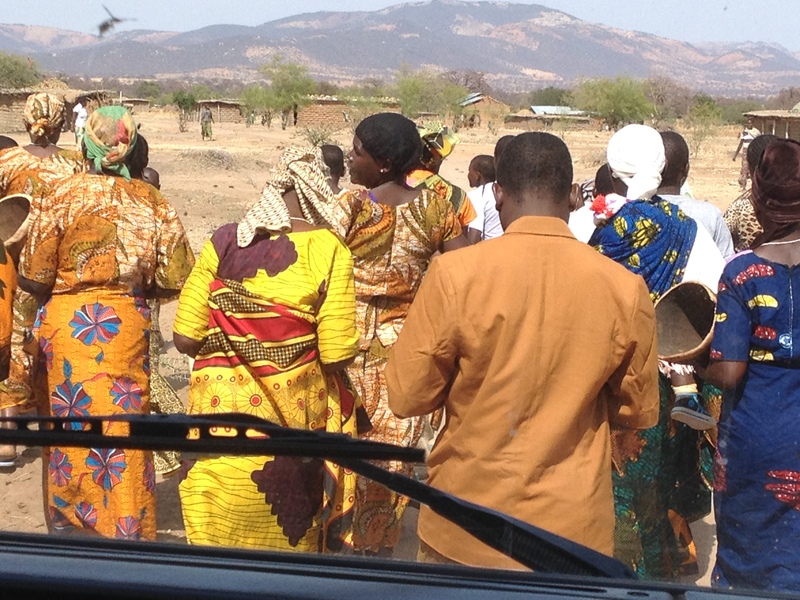 I had caught a glimpse of life in Tanzania that dominates so much of the country. People who live subsisting day-to-day offering their gifts with generosity and joy. Here, the Church does not feel anxious about people coming to worship on a Sunday – or in our case, on a Wednesday – here the Church is the village gathering, and it was quite something to look out and see a man preach to a few hundred people huddled into a partially built church structure and reflect on the truth that in this moment the universal Church was also convened, made one body in Christ. All of this makes me wonder about the state of my own Ujamaa. I can see, with even this short time away from the daily routines and habits of life, how easy it is for me to become bound up in concerns for the future, or entrenched in patterns of being that speak less of ‘familyhood’ and more of that great American dis-ease that says ‘I can make it on my own’. And as for the Church, nobody this past Wednesday made a note of how many people were in attendance and no one counted the offering to record it for the church parochial report. The concern here is not for the existence of the Church but for existence altogether. ‘Drought’ and ‘conflicts over land’ were the two challenges that the report which was presented to the bishop noted. For the people of the village, they know that they could never make it on their own. Ujamaa does not have to be taught, it is inherent. For one whose home context is so very different to theirs, I can only pray that I will be a faithful learner.